The compact crossover has become a hot favourite in the last two years and it seems that everyone wants a piece of the action. Volkswagen has the Cross Polo while Fiat is competing with the Punto based Avventura crossover. 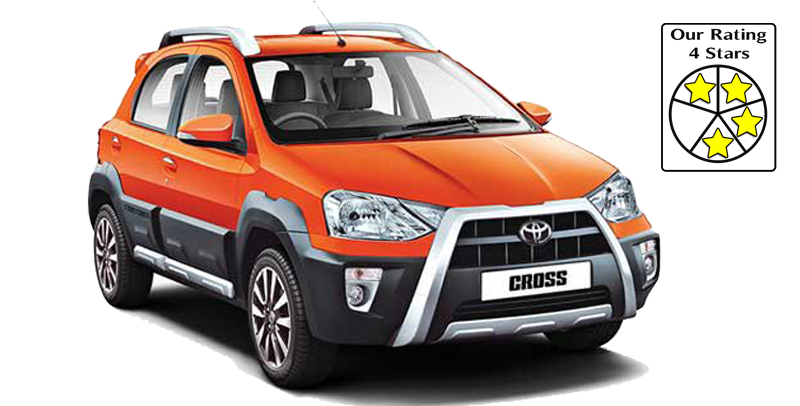 Toyota has become the most recent member of the segment and its soldier for the battle is the Etios Cross. It is a beefed up version of the Etios Liva hatchback and is being offered with both petrol and diesel engines. Front Tyres 185 / 60 R15 ? 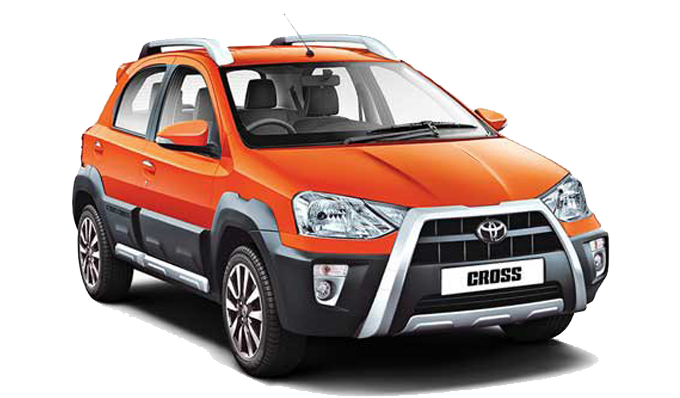 Toyota Etios Cross prices start at Rs. 6.41 lakh for petrol and goes upto Rs. 8.00 lakh. The prices of Etios Cross diesel variants start at Rs. 7.57 lakh and the top-end diesel is priced at Rs. 7.96 lakh. Toyota Etios Cross is available in 4 variants and 8 different colours - Vermilion Red, White, Celestial Black, Symphony Silver, Harmony Beige, Classic Grey, Inferno Orange, Quartz Brown.